This entry was posted in Midd Blogosphere and tagged Uncategorized on December 23, 2011 by Timothy Spears. Our very first Five Questions candidate was President Ron Liebowitz. Here we are, almost a year later, and Special Assistant to the President Dave Donahue joins the club. 1. You started out at Middlebury as a student (Class of 1991!) and now you’re the Special Assistant to the President. In between, you’ve been Associate Dean for Library and Information Services and Associate Vice President of Operations in College Advancement and a dean in Student Affairs. What’s it like to have held so many different roles at the College? It has been great. It’s allowed me to take on new challenges, to gain new skills, and to learn different parts of how a college operates first hand and up close. The variety has been very stimulating. At the same time, I’ve been able to maintain the continuity of being with one employer and to create a network of friends and colleagues that I continue to work with all the time. This last point is really important. Sometimes in a place as big as Middlebury, getting something done can be about knowing the right person to contact. And although it was entirely by accident, my career at Middlebury and the different jobs I’ve had (going all the way back to being a student) have been the perfect training for what I do now. I also really enjoy seeing people on campus whom I knew as a student and relating to them now as a peer and a friend. 2. What’s the best adventure you have ever been on? It’s hard to pick just one, so I will tell you about a few. I spent a summer studying Spanish in Mexico at the Universidad de las Americas in Puebla, Mexico. Every weekend we traveled, and at the end of the program I took a week and hiked in the jungle. Over the course of the program we visited Palenque, Guadalajara, Guanajuato, Monte Alban, the ruins at Tikal, Bonampak, Yaxchilan, and the Rio Usumacinta. It was awesome and permanently changed my world view. I grew up in Lowell, MA, so the idea of “studying” during the summer or going abroad were both pretty foreign concepts to most my friends and high school classmates. It was impossible to be there and not get caught up in the ruins, the culture, and the history. The other adventure was a 35-day car camping trip with my wife, who at the time was my girlfriend. We traveled all around the West and by the end of those 35 days, we pretty much knew we could make any situation work and that we were ready to spend our lives together. We also saw parts of the country that I had never seen from Idaho, to Arizona, to Montana, to Seattle, WA. Finally, every time our family (three kids and wife) travels, it’s a major adventure, especially when we get on an airplane! 3. When you were a student, you played on the football and lacrosse teams. We hear you like to cycle and you were spotted out on the links this summer. What’s one physical activity you’ve always wanted to try, but haven’t gotten around to yet (or maybe never will)? I’d love to try surfing. The attraction is two-fold. First is purely for the sensation of riding a wave. I’ve done some windsurfing, which I’m terrible at, but the sensation of being powered naturally is pretty special. I imagine the sensation of riding a wave would be even better. The second attraction is warm weather, not that all surfing takes place in warm weather climes, but the picture in my mind is definitely a warm weather one. A close second would be log rolling. I like the idea of head-to-head competition, balance, footwork, and water. Maybe I have a water obsession. 4. Has a liberal arts education served you well? If so, how? If not, please explain. Please cite at least one example. My job is all about projects and communication. 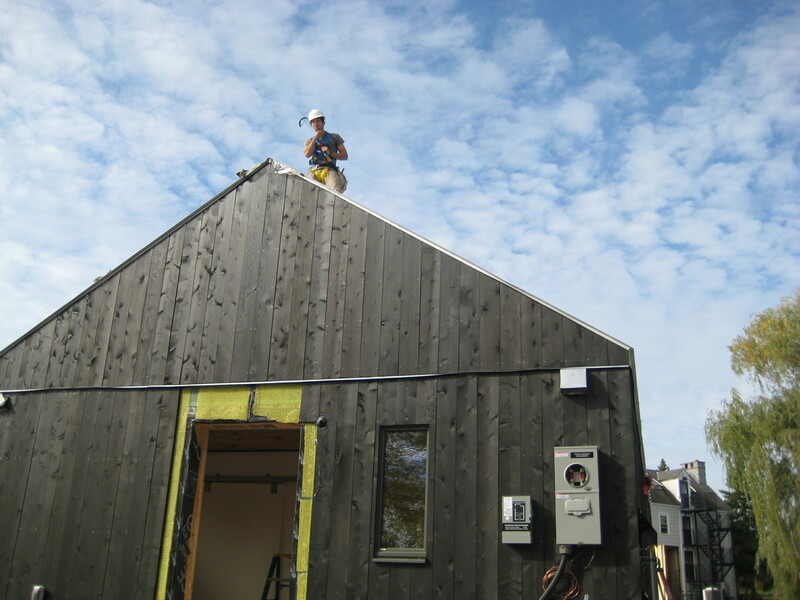 Some projects are in areas that I know a good deal about and are very much in my comfort zone. Others are completely new. The first step is to learn about the industry/area. I believe part of a liberal arts education is learning how to learn, learning how to identify critical information, and how to discern what is important from what is not. Project work is all about figuring out what needs to be done. The other important aspect of my work is communicating, whether it is in written or spoken form. If you can’t communicate effectively with people, you can’t get much done. I’d say a liberal arts education has served me extremely well on both fronts. 5. Andy Warhol once said that everyone is famous for 15 minutes. What happened during your 15? Wow, that’s a really hard question. I’m tempted to believe that maybe my 15 minutes is ahead of me, but that may be wishful thinking! If I had to pick 15 minutes, I’d go with a bunch of 5 minute blocks. I acted as a reader for the book Think Big Act Small by Jason Jennings; I’ve done a few interviews over the years for the paper and many years ago on WCAX; I won a write-in campaign for the school board in Cornwall, VT in a hotly contested election; and I’m childhood friends with Mickey Ward, the main character in the movie “The Fighter.” Added together, I’m thinking that is close to 15 minutes, but I’m pretty sure I’m stretching the definition of “famous!” Truth be told I’m actually pretty comfortable out of the spot light, but I appreciate the opportunity to be part of Five Questions! This entry was posted in Midd Blogosphere and tagged Five Questions, staff on October 17, 2011 by Timothy Spears. Even with the fine (and distracting) weather this past week, it’s hard not to notice the work now taking place around Old Chapel. Some may be wondering what this project is all about. The short explanation is that we are staving off mold growth in Old Chapel, and that we’re repairing the walls so that moisture can’t enter the building. Moisture creates the conditions for mold growth. The back story is that since Old Chapel was renovated 15 or 16 years ago, the mortar holding together the stonework has deteriorated as condensation—perhaps caused by air conditioning—has worked its way into the walls, eroding the mortar. 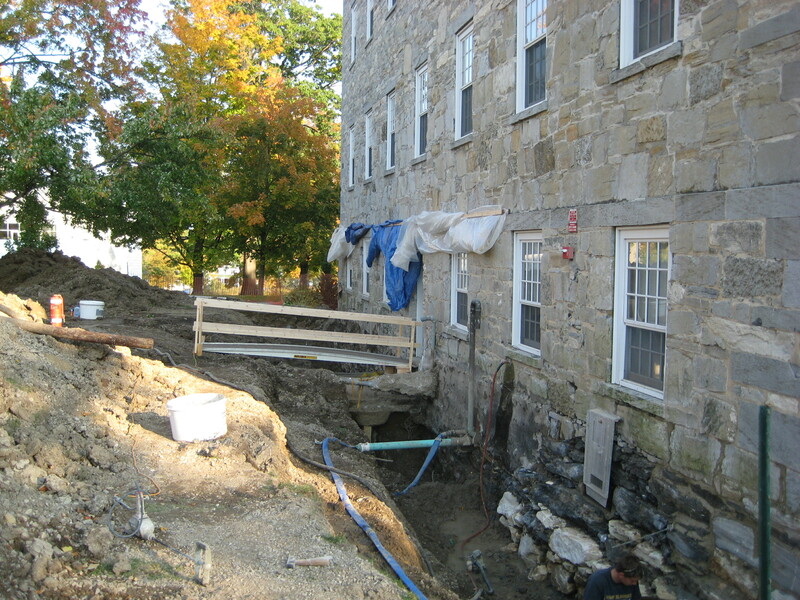 The eroded mortar has in turn made it easier for moisture to come through the walls, especially on the first floor where the offices are below grade. Also, as the photo below suggests, the original 19th-century foundation was constructed to hold up the building, not keep it airtight. So it’s not surprising that moisture has seeped through the walls. But conditions will be much improved after the mortar has been repaired. The contractors engaged on this project, Liszt Historical Restoration, did a great job renovating Starr Library for the Axinn Center and they specialize in detective work like this. You can expect to see this work continue through the fall. This entry was posted in Midd Blogosphere and tagged Facilities on October 13, 2011 by Timothy Spears. Vice President for Planning & Assessment and Professor of Psychology Susan Campbell Baldridge is in the Five Questions Hot Seat this week. 1. You’re a professor of psychology and Vice President for Planning & Assessment. It’s four weeks into the semester, and summer is quickly becoming a distant memory. We have to ask: What’s your present state of mind? Well, I had a pretty fabulous summer – I got married and my husband and I honeymooned in Scotland – so just about any semester would be a come down from that. To make matters worse, you’re asking that question a few days before the reaccreditation review team visits our school abroad in Spain, and a few weeks before the full visit of the review team to campus here in Vermont. So I might be tempted to say, “Don’t ask.” But in reality, despite the stress I’m feeling leading up to all that, I’m also feeling pretty pleased that we’ve come this far and accomplished what we set out to do with respect to reaccreditation: We wanted to produce a self study that was inclusive of as many people as possible – including folks from all the College’s programs – and that reflected who are as an institution, celebrating our strengths and acknowledging our challenges. I think we did that. So I guess my state of mind is a mixed bag of pre-visit anxiety, pride in what we’ve accomplished, and wistful nostalgia for the summer. 2. As VP you have led the College’s reaccreditation process. Please tell us about your love affair with data. 3. But you’re not just a numbers gal. Word on the street is you love to quilt, too. Why? Well, there’s some overlap between my fondness for solving puzzles and quilting; cutting fabric into shapes and then recombining them to produce a pattern that’s pretty or fun to look at involves lots of working with numbers. But the real appeal for me is much more visual and tactile. I like vibrant colors and I like to play with the texture and the feel of fabric. I keep fabric organized by color and stacked where I can see it in my sewing room, with spools of brightly colored thread arranged next to it. The room is painted a vibrant pear green. All that color and texture feels like a nice escape when I’ve spent too much time with my nose in a data file. 4. What is the most beautiful place you have ever visited? That one’s easy. 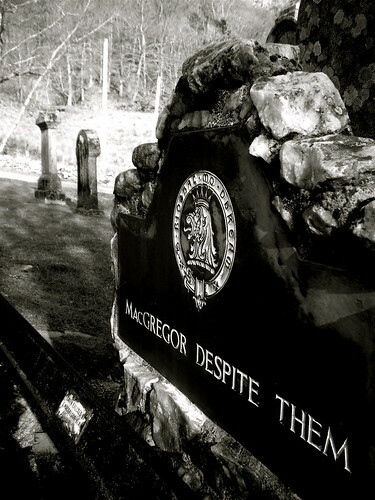 On our aforementioned honeymoon, my husband and I went to visit the grave of Rob Roy MacGregor in Balquhidder, Scotland. (You may have seen the movie about Rob Roy, starring Liam Neeson, or read the novel about him by Sir Walter Scott.) My grandmother traced the genealogy of our family line back to Rob Roy’s brother, so there is a family interest in stories about Rob Roy. I’m particularly invested because my middle name is McGregor (the family dropped the “a” somewhere along the line), and I’ve always enjoyed the fact that, after spending the better part of his adult life fighting more powerful clans and royal foes who had outlawed the use of the name MacGregor, Rob Roy’s grave is defiantly engraved, “MacGregor Despite Them.” The tiny village of Balquhidder is set in the most beautiful place I’ve ever seen. 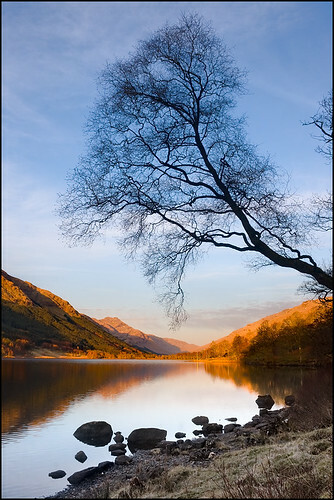 It sits at the tip of Loch Voil, a long, calm lake in a steep mountain glen. Sheep and Highland cattle meander the lush valley and up the mountainsides, which are misty and atmospheric in the mornings and (at least sometimes) bright and sunny in the afternoons. That description doesn’t do it justice, but suffice it to say that I was awed by the beauty and peacefulness of the place. 5. You grew up in Indiana, and received your PhD from UCLA. What are your thoughts on Midwest vs. East Coast vs. West Coast? If you’re asking where my loyalty lies, it’s in the Hoosier heartland. The people there – including my family, most of whom still live in Indianapolis – are warm and down to earth and have a sense of humility that I think the world could use more of. And ultimately, it’s still home to me. (Hearing Jim Nabors sing “Back Home Again in Indiana” at the start of the Indy 500 each year still gets me misty-eyed. As does rooting for Butler each year in the NCAA basketball tournament.) Living in Los Angeles while I attended graduate school was a great adventure, and I’m glad I had the chance to experience the hum and glamour of life in a big city. But ultimately, the smog, the crime, and the earthquakes were too much for me. So being able to live and work and raise my kids in a beautiful and close-knit community in Vermont seemed like a huge gift. Still does. 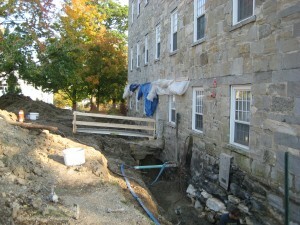 This entry was posted in Midd Blogosphere and tagged faculty, Five Questions on October 10, 2011 by Timothy Spears. This week we talk with Erik Bleich, Professor of Political Science. For the record, we do not have any moles…just squirrels. 1. You recently published The Freedom to Be Racist? How the United States and Europe Struggle to Preserve Freedom and Combat Racism (Oxford University Press, 2011). Your book “starts from the premise that liberal democratic citizens love freedom and hate racism, but have a difficult time deciding what to do when those values collide.” In fewer than 224 pages, can you summarize how societies can preserve freedom while combating racism? One main point of the book is that we have to view both protecting freedom and fighting racism as truly important values—neither trumps the other in all circumstances. Almost all of us reject the “free speech absolutist” position that anyone should be allowed to say anything racist at any time, and nobody wants to live in a country that forbids all racist statements. In fact, there are some instances where we view fighting racism as crucial (we don’t allow aggressive racist speech among members of the Middlebury College community), and others where we have decided that protecting freedom is more important than curbing harmful racism (such as when the Supreme Court permitted neo-Nazis to march in Skokie, Illinois, in a famous 1978 case). It helps to start by recognizing that we are engaged in a delicate balancing act between two vitally important values, and that working out the best way to balance them takes some thought and effort. 2. Where do you think the line between free speech and racist speech lies? This is the $64,000 question. I think we have to look closely at the harm that racist speech can cause. Unlike some, I am not a fan of banning racist speech because it is offensive. Feeling offended is real, but it is subjective. If you’re going to call the police and ask the courts to punish someone, the harm has to be greater than that. It might involve a measurable trauma for the individual victim, such as a physiological response to harassment or threat. This type of harm is, in fact, punished in all liberal democracies. It might also involve a likelihood that the public statement drives a wedge between groups and stirs up hatred against one particular group. Most countries outside of the United States also have workable laws against these kinds of harms. We do not. Why are Americans so attached to protecting harmful racist speech? 3. Racism can be a difficult and uncomfortable issue to discuss in class. How do you create an environment in which students are willing to talk about it? This can be a real challenge, but I think it is incredibly helpful to make sure the students get to know each other as quickly as possible. The better you know the person you disagree with (at least in a classroom), the easier it is to see him as “Tom” as opposed to “that racist guy.” In most cases, Tom is not actually a racist, but has had some experiences that have to be understood for everyone else to grasp his perspective—and his perspective is usually really valuable. Students will definitely have disagreements when discussing race and racism, but if they know each other, they can disagree with each others’ ideas without becoming personal or acrimonious. 4. If you could live under any political system (besides democracy), what would you choose? Ha! Now I know you have a mole, since this is a question I ask my students in Introduction to Comparative Politics! Of course, I also ask them to develop an ad campaign to convince their fellow students to come over to their non-democratic regime. I’m glad you’re not holding me to the same standard. My own preference would be for a benevolent dictatorship run by a wise philosopher-king. Spearsistan? 5. If you had one free hour every day to do whatever you want, what would you do? Last year, a couple of young people wandering the streets of Middlebury pulled me aside as I was running somewhere in town. They put a microphone in my face and pointed a camera in my direction and said: What do you love more than anything else in the world? I panicked and had one of those life-flashes-before-your-eyes moments where all the good things I’ve ever experienced practically overwhelmed me. Then it hit me. Playing with my kids. And I’m really lucky, because I get to do that for at least an hour every single day. 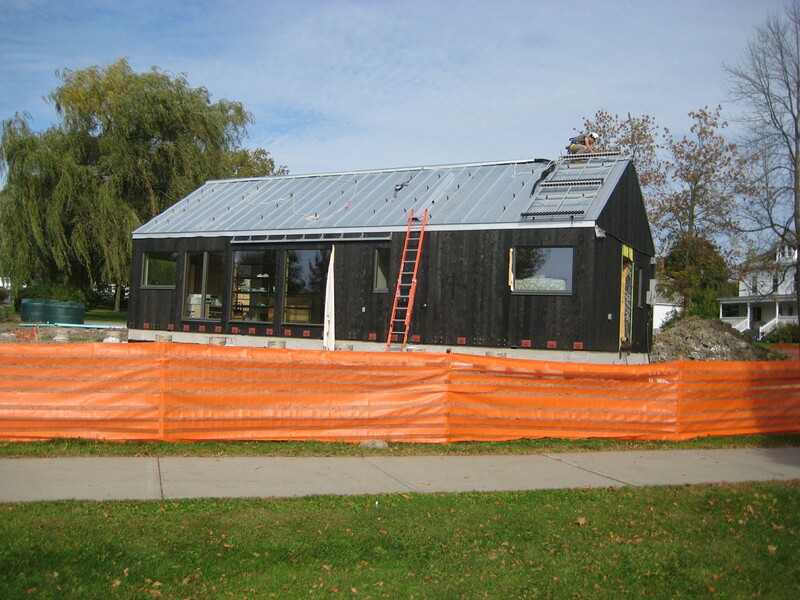 This entry was posted in Midd Blogosphere and tagged faculty, Five Questions on October 3, 2011 by Timothy Spears. Jeff Stauch ’05 set the bar high last week with his Five Questions responses. Can Admissions Counselor Shantá Lindo ’10 meet it this week? We think so. 1. You’re in your second year as an Admissions Counselor. What’s it like to review applications from students seeking to attend your alma mater? Being a part of the admission process for my alma mater is one of the most humbling, yet empowering, things that I have ever been involved in. Seeing the nuts and bolts behind the process and realizing that every single member of the Middlebury community, past and present, has something special and unique to offer is amazing. Knowing that I am a member of that cohort gives me immense pride as I try my best to continue that tradition by ushering younger students through the process. I must admit that I was a little surprised by the extreme attention to detail that goes into the process, and it was a little daunting for me at first. There are so many moving parts involved in putting together a class at an institution like Middlebury, and every single member of my office gives their all to make sure that the process is fair, effective, and fun for all parties involved. A year ago at this time, I was terrified by the amount of responsibility that was handed to me once I started this job. For the first couple of weeks, I was tempted to ask if they were sure that I should have such a hands-on and autonomous role in things such as planning travel, picking high schools to visit, reading applications, and then actually having a say in what takes place in the end result. So much of this last year has shown me the other side of the Middlebury coin–the side of this institution that enables it to run like the well-oiled machine that it is. I, of course, saw this as a student, but once I became a staff member I realized the degree to which people in this community love the students that they are working with, and how they would do almost anything to make sure that their experience is one-of-a-kind with the kinds of experiences that elicite warm, fuzzy feelings all around. I am proud to be a part of that. And furthermore, I feel blessed to assert that I have had an extremely “well-rounded” experience at Middlebury because I was able to make that transition from student to staff. I feel inexplicably lucky to have had this experience, and the best bit is that I still have plenty of time to live the dream. 2. You’re a city mouse in the country. If you could bring one element of New York City to Vermont, what would it be? What would you bring from Vermont to New York City? The one element of New York City that I would bring to Vermont is an effective, wide-reaching public transportation system. As a New Yorker, I am hard-wired to believe that a car is an unnecessary, and costly, expense. I grew up with tokens (not even metro cards) and I miss the accessibility of it all. I love traveling home because once I get there I can have access to any part of the city in a matter of minutes with my metro card in my back pocket coupled with a decent sense of direction. I didn’t even have my license prior to graduating and getting hired in admissions. All that withstanding, I am still grateful that I had to get my license because knowing how to drive is an important skill to have. The one thing I would bring from Vermont to New York City is the importance that is placed upon having a healthy quality of life. New Yorkers work too much and it is very (very) easy to fall into a holding pattern of nothing but work all that time. Granted, that might have something to do with the fact that it is a really expensive city to live in, but whenever I go home I am left with the lingering feeling that I wish people would slow down and be still a bit. Vermont has taught me that it is important to find a balance in life that is appropriate for you. Throughout those first couple of weeks within this community I was so agitated by the fact that the stores closed at 5pm. I was flabbergasted. I always remember saying “How can you run a business like this?” I eventually learned to let go of that fixation, mainly because homework was taking up so much of my time. But after 5 years in Vermont, I realized that those business owners closed at 5pm because (more than likely) they had a family to get back to. They had people in their lives that meant more to them than getting a little extra business. Now, I must say that I am being a bit presumptuous because I don’t know exactly why businesses only stay open until 5pm, but I don’t think I am that far off the mark. The most important take away message from being a native New Yorker living in Vermont has been that I now have the perspective to choose what kind of lifestyle I want to live. I will always be a city girl, but this stint in Vermont has taught me that there is so much more to life than pounding the pavement every chance I get. It’s about the little things in life; little things like watching the seasons cycle through or catching a glimpse of the most beautiful sunset that you have ever seen. I am not suggesting that one is better than the other, but I must say that this experience has taught me a great deal about choosing a life that is intentional as well as reflective of everything that you want. 3. Not that we’re stalking you, but you’ve been spotted around campus voraciously reading. What’s your favorite book you read this summer? As an ENAM major, that is a bit of a loaded question, but if I had to pick one book that has grabbed my attention in the recent past it would be The Immortal Life of Henrietta Lacks. I stumbled across this novel in The Strand bookstore when I went home, and I immediately was attracted to the scientific aspects of the novel, as well as the painfully human components that act as its underpinning. This novel was a wonderful representation of all of the things that I am passionate about. When I grow up, I would like to be a medical social worker, because it combines my interest in health care (particularly access to effective health care) and my drive to help people. I am well aware of the big picture that is unfolding in the world, but the most important thing to me is the individual experience. If I can make one person feeling better or have a good day, then I feel that I have done some kind of good. This novel is a manifestation of that passion. It combines the story of a woman whose cancerous cells single handedly changed the face of medicine during her time and for years to come. That’s the power of the individual and as long as we take care of each other we can enact significant change. This novel tells the story of a woman who had been long forgotten, brought her back to life, and gave her (and her family) a voice. All of these things are really important to me so I immediately connected with this novel. 4. Grab your iPod. What are the top 5 most played songs? I am a firm believer in dancing and/or singing your way through life. I was raised with music constantly surrounding me, and it’s really important that I continue that tradition no matter where I go. I feel most Zen with a pair of headphones, rocking out to the latest dance singles that are playing on the radio. Life is too short to take yourself too seriously. You might as well dance your way through it. 5. What do you miss most about being a kid? As I grow older (yikes that’s so very adult of me) I keep on having more and more “hindsight is 20/20” moments. There is so much that I wish I knew then that I know now. That being said, if I had known everything then I wouldn’t have had any room to grow, and that would just be boring. The one thing that I miss the most about my childhood is constantly being surrounded by my family. I have a very large extended family and all of my favorite memories are colored with their beautiful faces. Being adventurous and leaving the shelter of NYC has also removed me from my family. Not having them as readily available has shown me that what I have in my family is not a given. Feeling filled up with all of the wonderful food, music, and conversation that my family provided me is a blessing. I run back to their welcoming arms every chance I get because it reminds me of how far I have come and all the support that I have standing behind me as I continue to move forward. I am a lucky girl. And if I ever forget that, I have a wonderful group of people around me who will thankfully never let me get too far removed from where I come from. This entry was posted in Midd Blogosphere and tagged Five Questions, staff on September 26, 2011 by Timothy Spears.